Dreaming about having an online eStore to market your products? 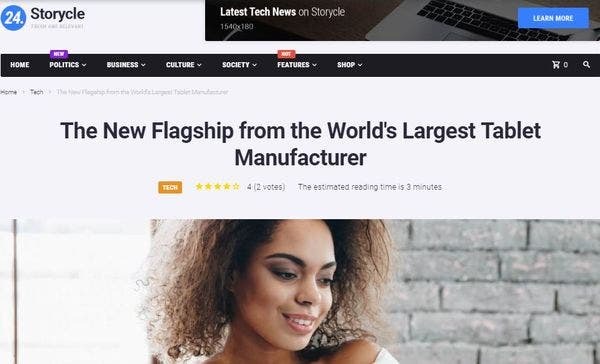 Well, creating an online store website can be a mammoth task especially if you are new in the market and do not have much knowledge about where to start with. 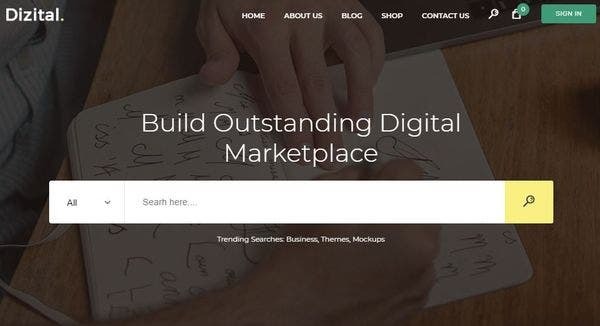 Our online/retail store WordPress themes are extensively loaded with amazing e-commerce features that will help you focus more on your business rather than worrying about designing the website. Begin, with this list of 21+ amazing WordPress themes, suitable for online stores. 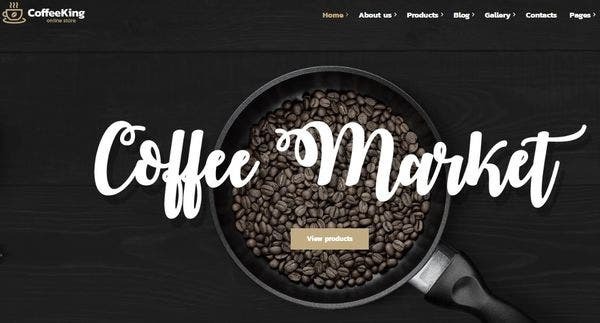 Coffee King is the perfect WP theme for your cafe, coffee store, dessert store, cafes, Barista portfolio or restaurant. The theme is WooCommerce ready WordPress theme and exhibits one-click demo installation which eases out the whole process. It comes with 22+ shortcodes, testimonials, product catalogs for your coffee shop, shopping cart, delivery, and order information. 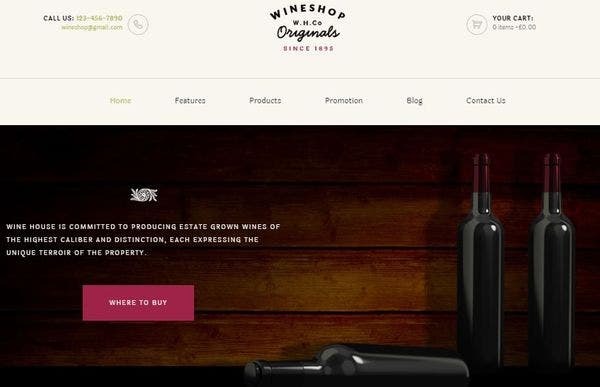 WineShop WordPress theme is WooCommerce compatible and is the ideal WordPress theme for your wine store. It is based on WPBakery Framework and consists of beautiful blog layouts. Powerful plugins like Revolution Slider and Essential Grid will help you customize your contents aesthetically and systematically so that visitors do not get lost when they visit your website. 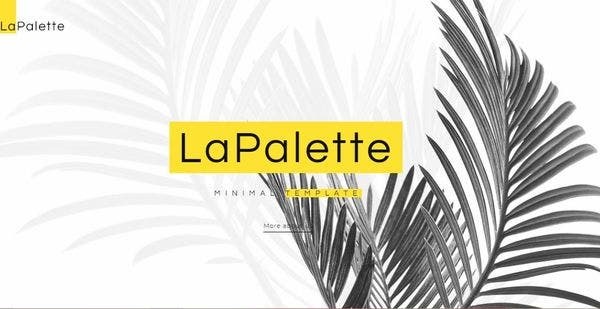 La Palette is a gorgeously built creative WordPress theme for creative agencies. The theme is enriched with numerous plugins and functional features. The JetThemeCore plugin helps you to build custom-made headers and footers and also customize other features of the layout. It is compatible with WPML and can be translated into multiple languages as well. BookShelf is the perfect spot for all book lovers. 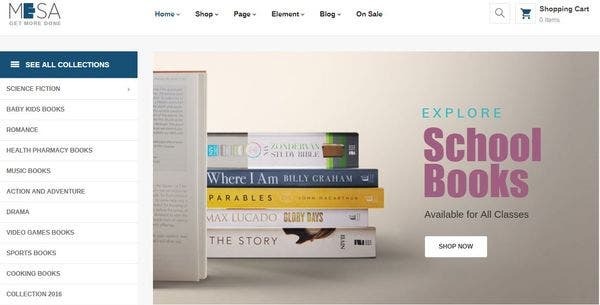 The bookstore WordPress theme is for book stores, literary clubs, authors, book or movie reviews, publishing houses and in fact for all kinds of books. Based on LearnDash plugin, it consists of courses, lessons, and quizzes essential for any good book website. It is also integrated with WooCommerce and on top of that has an Events management and calendar feature as well. 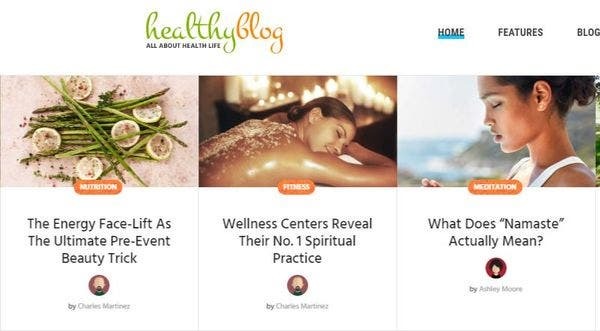 Do you want to create a health blog website? Then Healthy Living WordPress theme is an authentic and stylized theme for food blogs, nutrition, athletes, trainers, lifestyle coaches and health conscious people in general. The UberMenu plugin helps you to customize your website with drop-down menus which are easy to navigate. 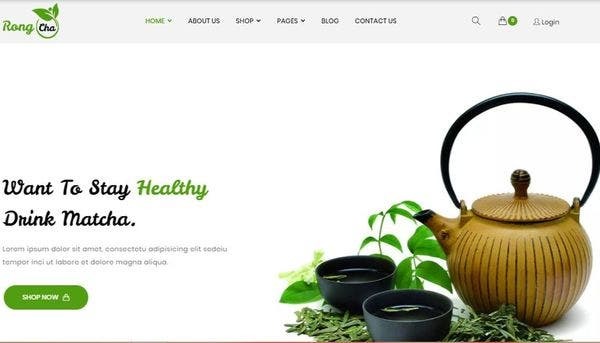 Rongcha Matcha is a WooCommerce integrated impressive WP theme for cafes, tea stalls, tea companies, and organic tea drink shops. The theme is Retina-ready WordPress theme and suits well on all devices. It is fresh and full of powerful widgets and plugins that will help you manage your online store effortlessly. 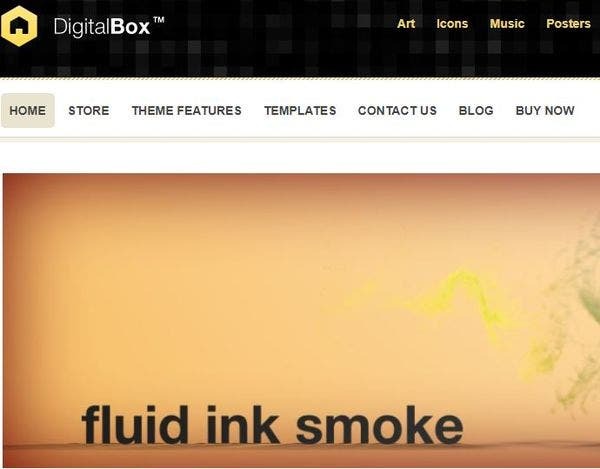 DigitalBox is a WooCommerce ready versatile WordPress theme for your digital products, eBooks, music, software and many more. The homepages are fully widgetized with multiple plugins, social media icons, and shopping carts. There are multiple payment gateways like PayPal, Google Checkout, WorldPay and bank transfer. Dizital is a SEO ready WordPress theme for your online digital store, ebooks, videos, photoshop files, software, and audio files. The theme is SEO optimized and comes with a friendly admin panel that will guide you throughout. There are 3 homepage layouts with unlimited colors and WPML support. 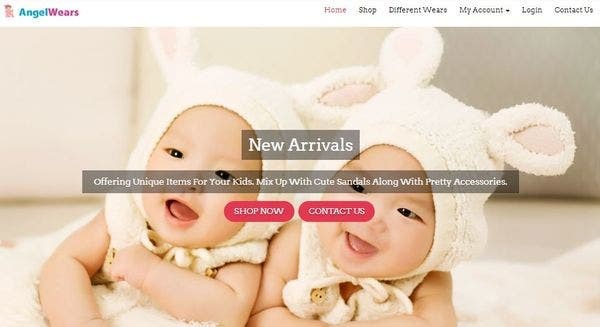 AngelWears is a stylish WordPress theme perfect for an online store for baby products, kid’s zone, retailers, children’s room décor market and infant’s clothing. The theme is WooCommerce compatible and all the products are price tagged for easy buying. The layouts have an awesome slider revolution and there are a separate blog and feature sections in the website. 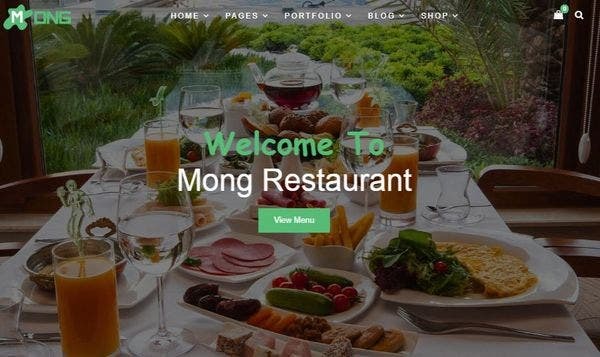 Mong is a WooCommerce compatible multipurpose WordPress theme for business houses, agencies, interior décor, personal, restaurant, construction, and events. The theme has a friendly interface and lets you sell all your services and products online with its e-commerce integration. The fully responsive theme give product thumbnail information through its Live Ajax product search feature. 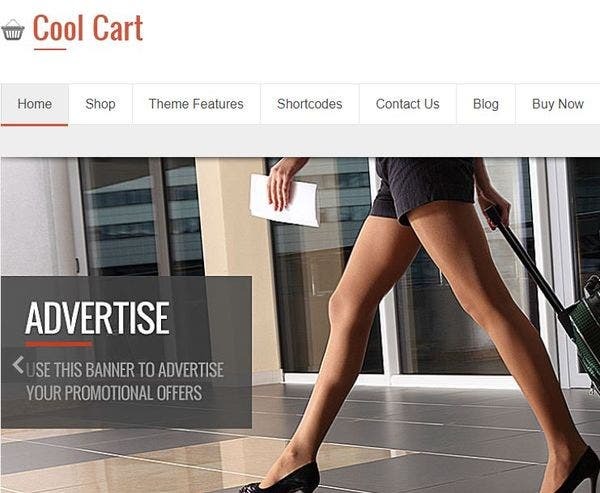 CoolCart is a premium WordPress theme for e-commerce websites like fashion jewelry, bags, watches, and other products. It is WooCommerce integrated and is cross-browser compatible like Firefox, Safari, Chrome, etc. It has some remarkable widgets and page setup layouts along with PayPal payment gateway which is another unique feature of this website. Mesa is an online store WordPress theme for online book stores, libraries, eBooks, comics, furniture, interiors and many more. 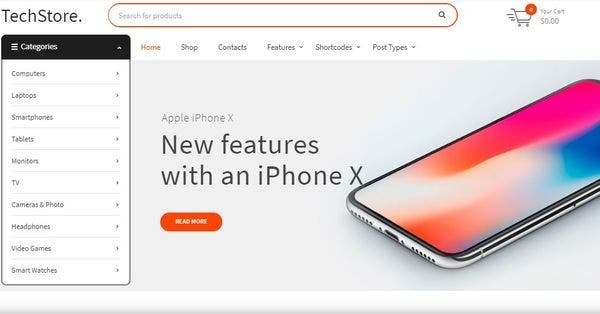 The theme is Schema integrated and comes with 4 unique homepages with responsive designs, multiple shop designs and color schemes. Mesa is user-interactive and is WooCommerce integrated that will be very profitable for your book store website. 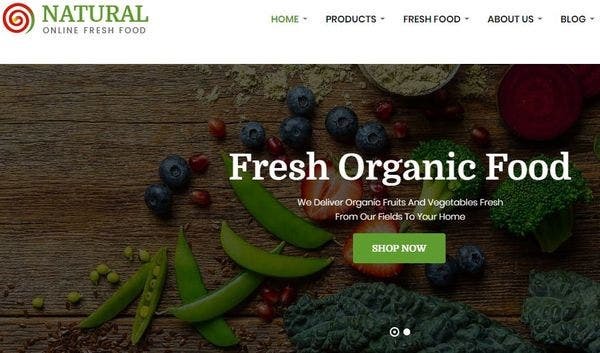 Natural is an online food WordPress theme for your fresh vegetables and food store, coffee, cake or flower shops. One of the unique features is that the whole website is in green color pertaining to its freshness and natural look. It is RTL language supported with unlimited colors and mobile optimization. 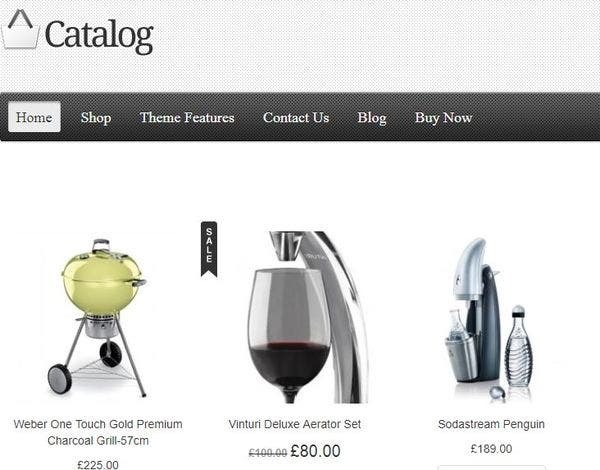 Catalog is a responsive WordPress theme for digital stores for appliances, watches, shoes, and accessories. It is WooCommerce integrated and compatible with Yoast SEO plugin. The bbPress plugin helps you to interact with your visitors as well as aids intercommunication between other visitors as well. 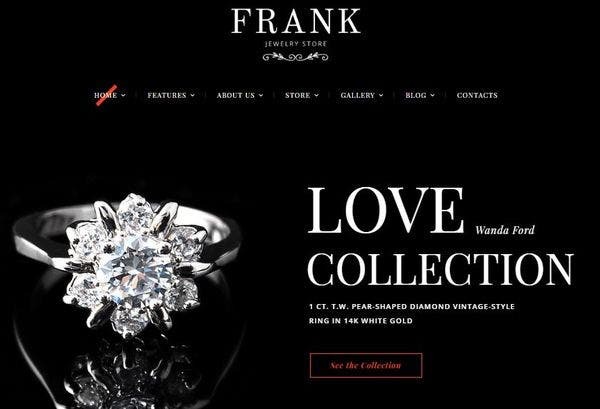 A professional WordPress theme for e-com sites selling jewelry and watches. This mobile-friendly theme has all usual navigational tools familiar to online stores. The Tabs menu is on top with the main content displaying the products gallery comes immediately below. The side bar on the right gives a mini review and product specifications. 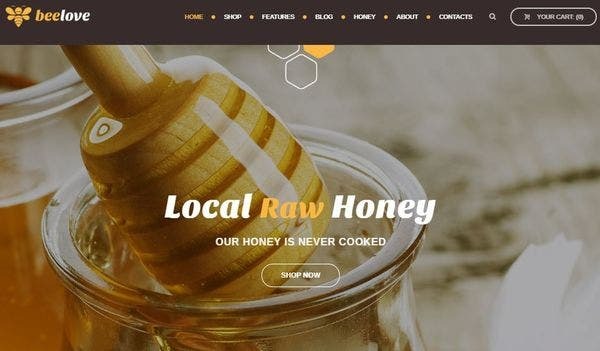 The layout and color combination of the theme suit natural products like honey. The theme comes with a WYSIWYG site builder which makes social media ready WordPress theme. This is one of the best themes in a light background, and is super easy to install. 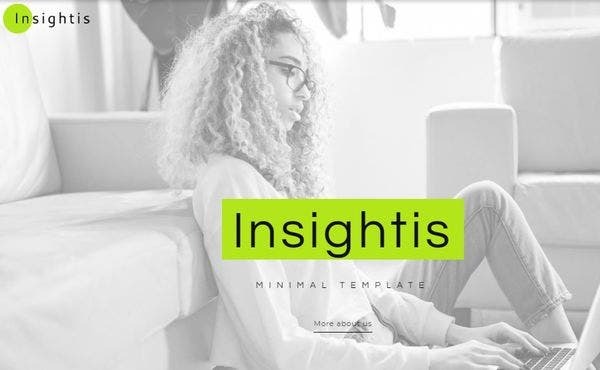 You can now easily create your own high-quality online store website with Insights Creative Minimal Elementor WordPress Theme. The WordPress theme is SEO optimized, which will guarantee maximum traffic generation to your website. The theme also allows users to navigate through your website in a proper way that will help your visitors. 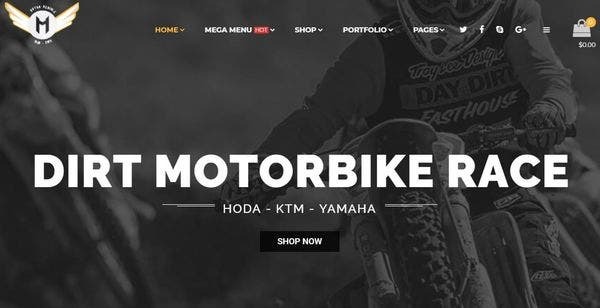 One of the best mobile responsive WordPress templates for an online automobile store selling motor cycles. It gives freedom to preview the design before making visible to users. The gallery and grids give easy options, with dozens of options to customize colors. Custom made contact forms are user-friendly and fast loading. TechStore WordPress Theme is easy to use and comes with a feature of a live demo. The theme also has an array of features that you are bound to love. These include a blog and portfolio layouts and content composers among many more. The theme is mobile friendly, which is one of its added benefits. 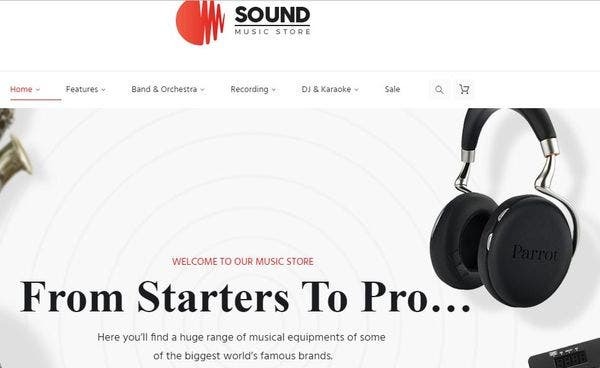 A musical instruments online store that is light and CSS3 compatible with options for videos, apart from the Instagram feed, and Slider Revolution. This easy to install theme has options to integrate newsletter and email subscriptions for users. The sidebar has the normal options of an e-Commerce site for easy buying. The 24 Storycle is an all in one multipurpose WordPress theme. The theme is light and responsive and it is also mobile friendly. With this theme you will enable yourself for top-notch demos. Plus, installations of the theme is just a click away. The theme allows previews as well. 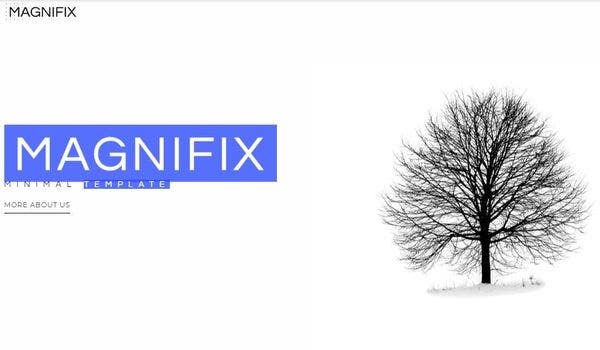 With the Magnifix Creative Minimal Elementor WordPress Theme, creating your own top-notch website will become an easy task. The theme also offers you live demo and by paying an additional cost you will be given access to install the theme as well. With the theme, you will also get your hands on some excellent plugins.